This brand-new work will be the finale of the 75th Cheltenham Music Festival. Tickets for Across The Sky are now on sale. They are free of charge, as are transport tickets from Coronation Square. Click on the relevant button below to book your tickets. The opera builds on Going for a Song, and A Way With Words, and every element will be co-created and performed by children and adults who live and work in West Cheltenham. 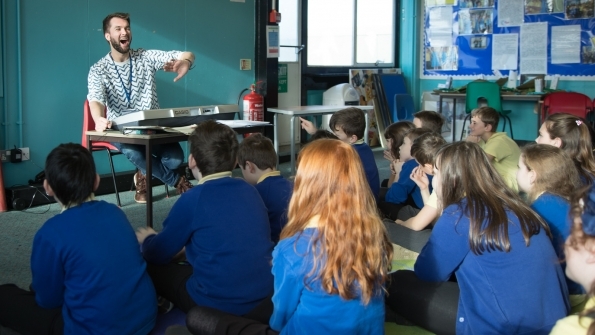 School children and community choir Local Vocals will help to create the libretto, contribute to the composition process, and bring the story to life on stage alongside five soloists including Sarah Connolly. Performances will take place at 2pm and 5pm on Sunday 14 July 2019 in Cheltenham Town Hall. We’re so excited about the collaboration for the end of the Music Festival this year. Best thing that’s happened in our area for a very long while. We sat down with Cheltenham Music Festival’s Community Opera Project Manager Philippa Claridge, Project Co-ordinator Shirley Halse, community choir Local Vocals, students and teachers to discuss the story so far. 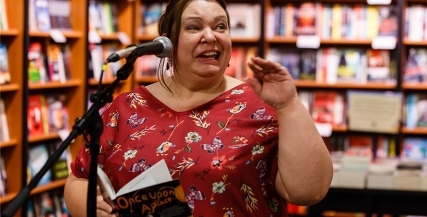 The local community is working with author and scriptwriter Miranda Walker to create the libretto and title for the opera. 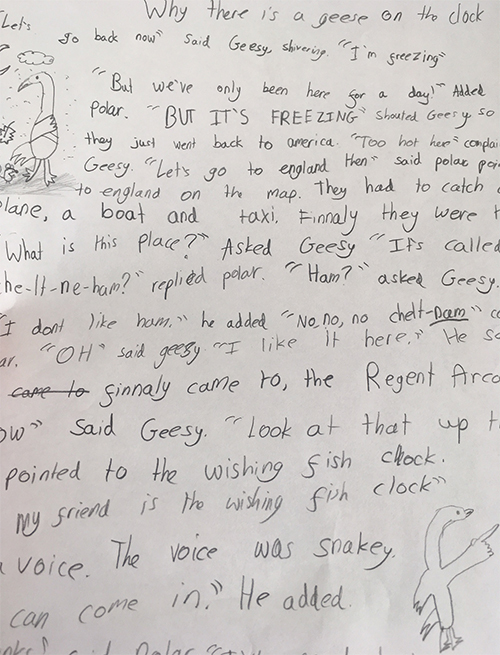 Miranda and pupils in three local schools are creating the story in weekly creative writing workshops, with input from adults in the specially-formed community choir. 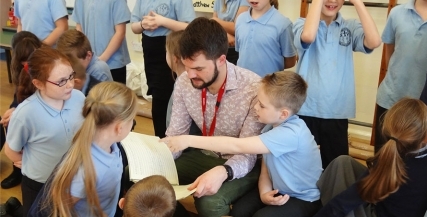 Composer Michael Betteridge, who previously worked with members of the community on Cheltenham Festivals’ Going for a Song project, has been welcomed back with great enthusiasm. As people of all ages come together to write, compose and perform their own opera, they will make new friends, learn new skills, and challenge some pre-conceived ideas about this part of town. The creative team is made up of: Composer and Musical Director Michael Betteridge, Librettist Miranda Walker, Director Bryn Holding, Conductor Glyn Oxley, Soloist and Singing Workshop Leader Gina Baker, and is coordinated by Cheltenham Festivals staff Philippa Claridge and Shirley Halse.